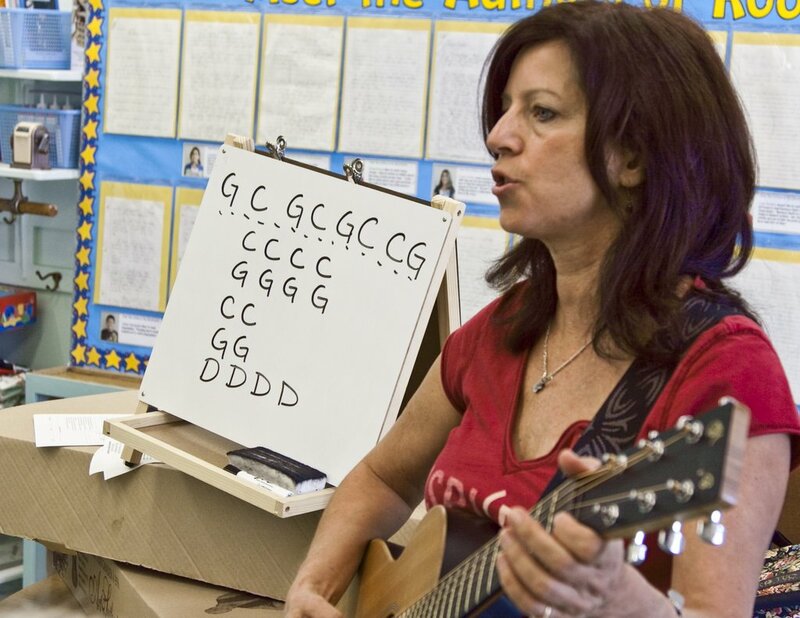 Infuse Learning with Music in PreK-8 Classrooms! 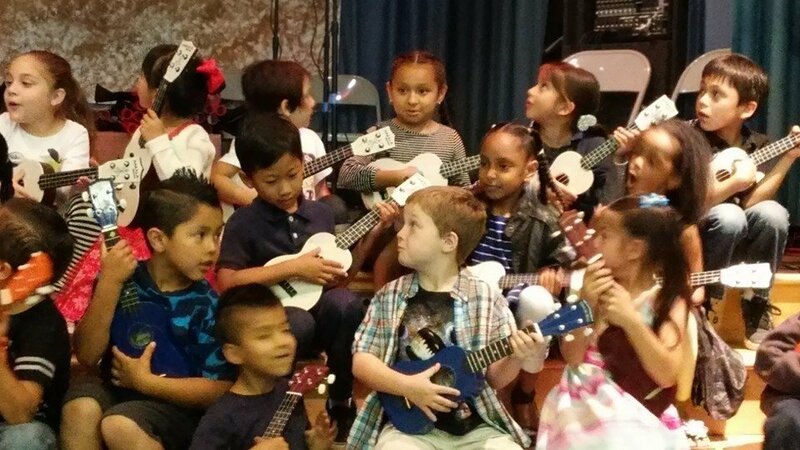 By training PreK-8 teachers to lead music, you'll bring music making & more effective learning to this generation & those to come. 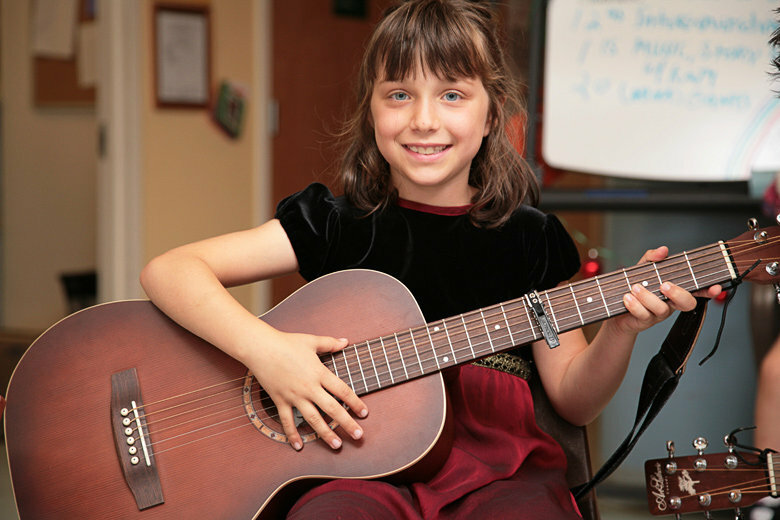 Students of all ages will gain the chance to engage enthusiastically in lessons in all subjects through strumming, writing and singing lyrics for learning! 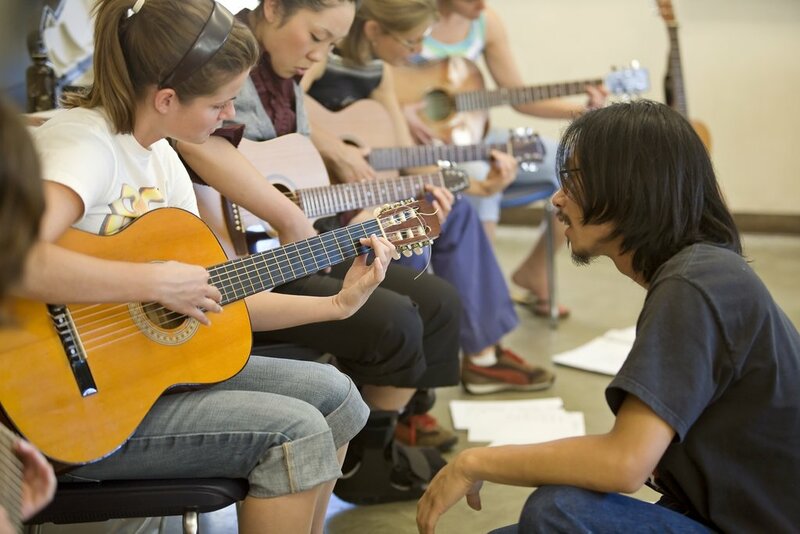 Your gift will support 1300 teachers to reach 117,000 students with music in school in 2018-19. 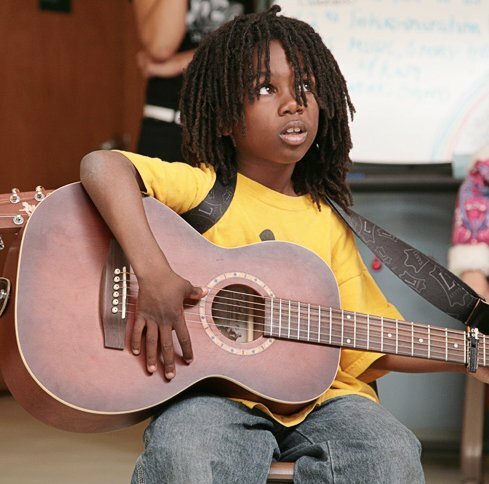 By making music an exciting part of everyday, you will empower American children to achieve their goals & dreams. 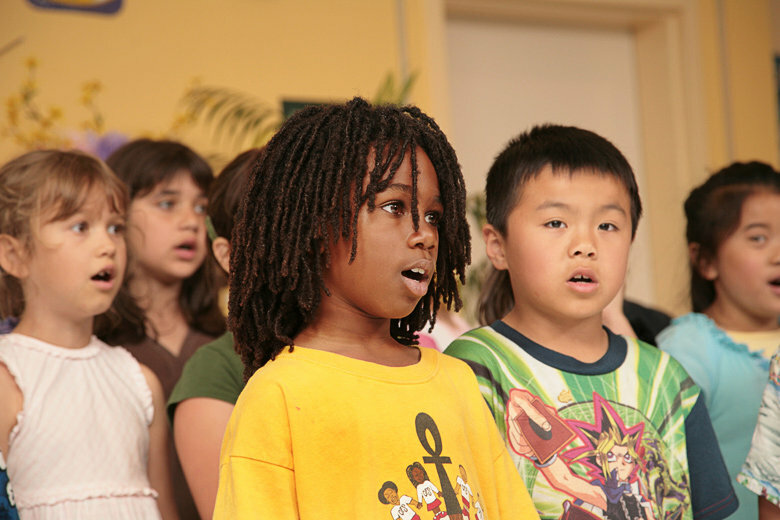 Every child benefits from singing- it's an essential and wonderful part of childhood. And it helps kids learn. 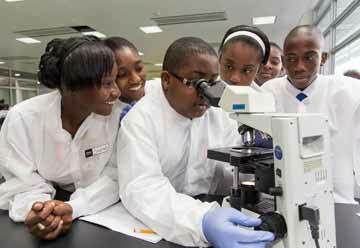 But with no access to music at school and so much emphasis on testing, children are losing out and the music is being forgotten and lost. 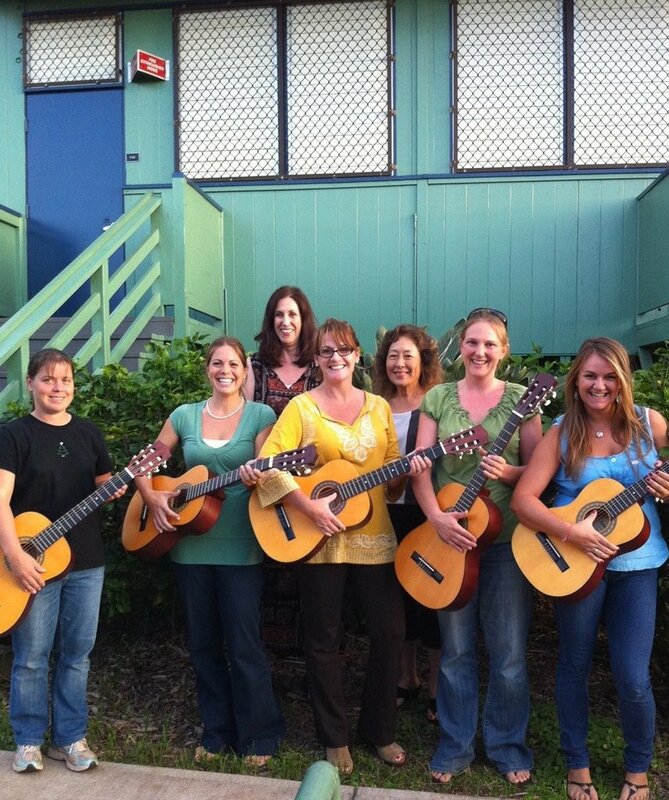 GITC saves the music by training teachers to lead songs for learning in all subjects each day! 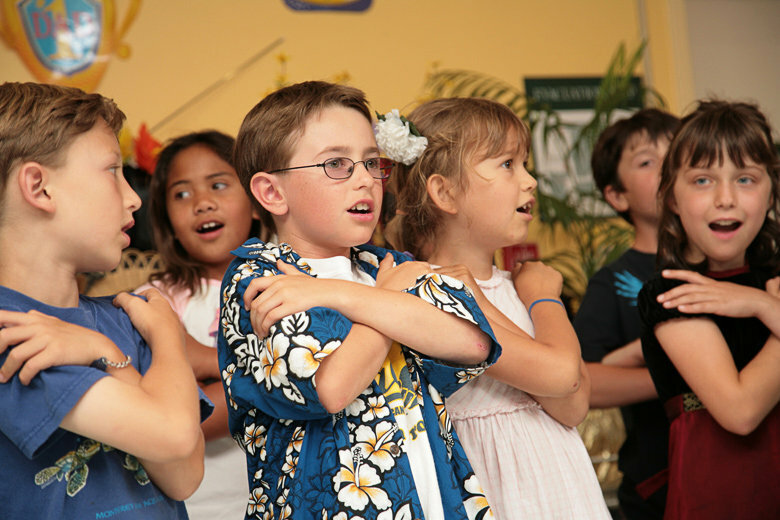 Singing together boosts imagination, learning, language skills, memory & makes school a place kids want to be each day. 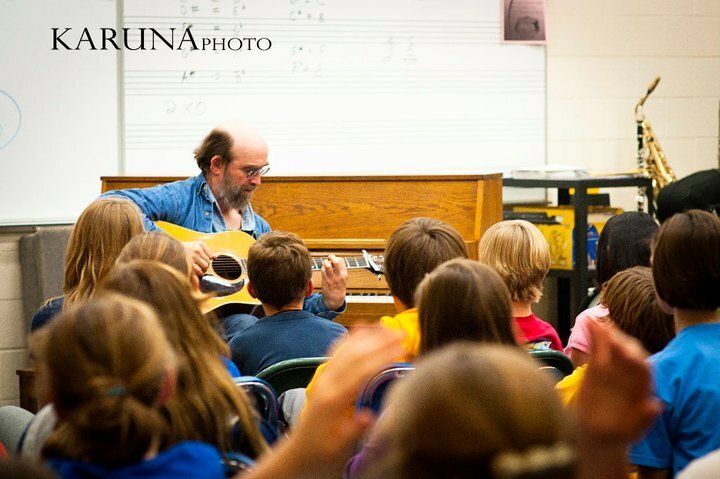 GITC is bringing daily music making to many classrooms around the country with your help. 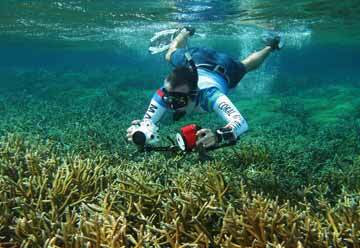 Each free course trains 24 teachers & reaches 2300 students! 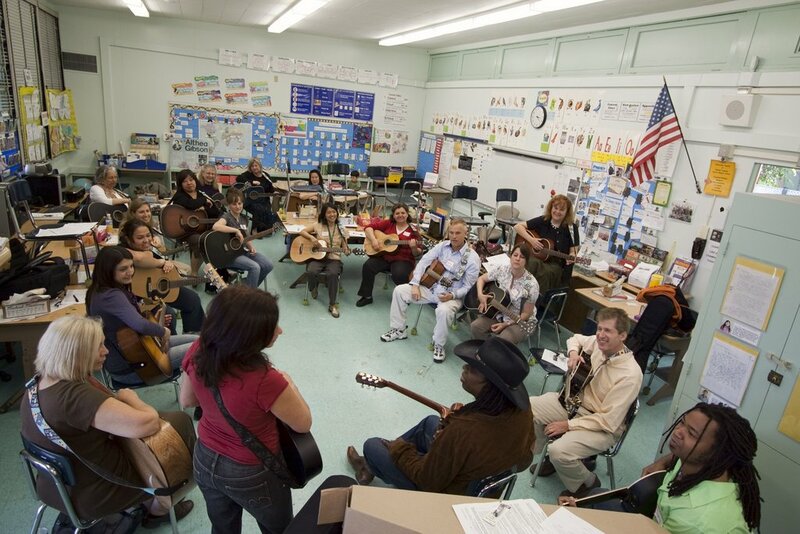 Teachers meet weekly after school to learn to play simple guitar, sing, lead students in song. 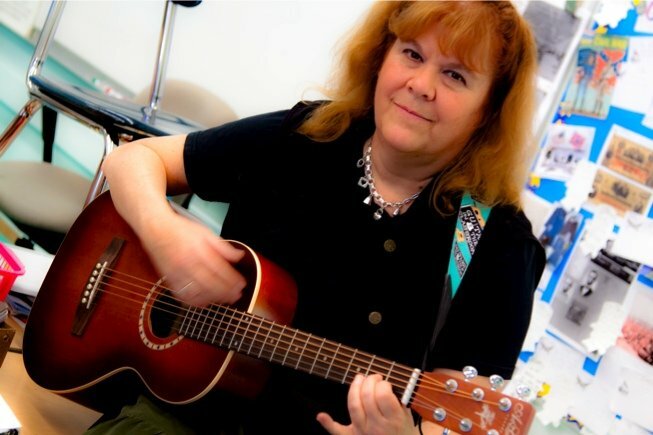 They learn to choose or WRITE songs for lessons with their students, inspiring everyone! 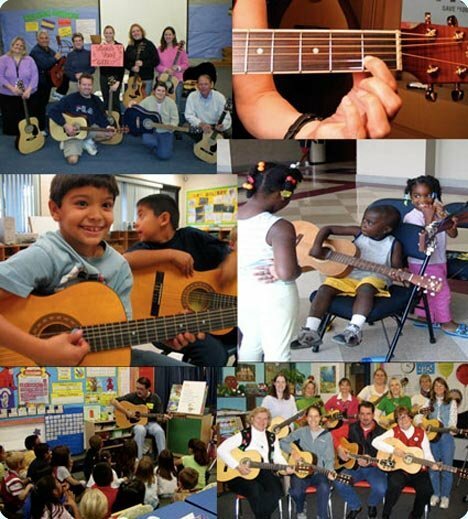 We supply them with a guitar, musical accessories, educational materials & ongoing instruction & support at no cost. 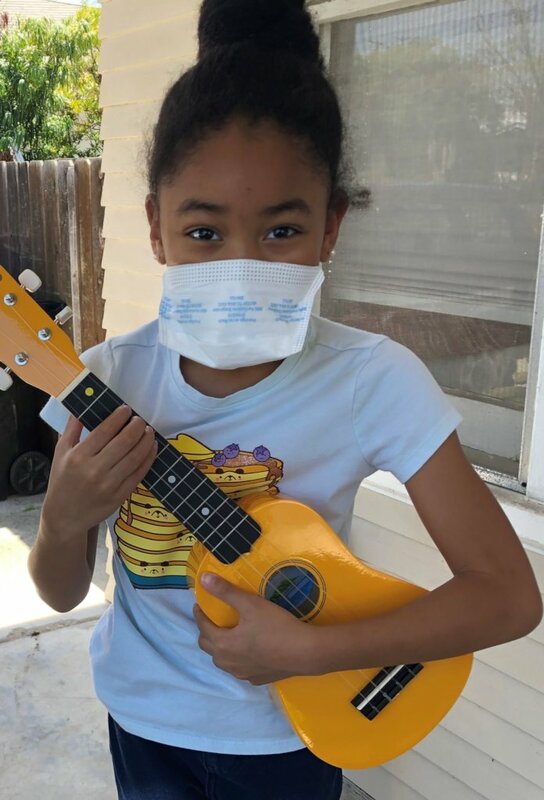 Beginners love it and share the music with joy! 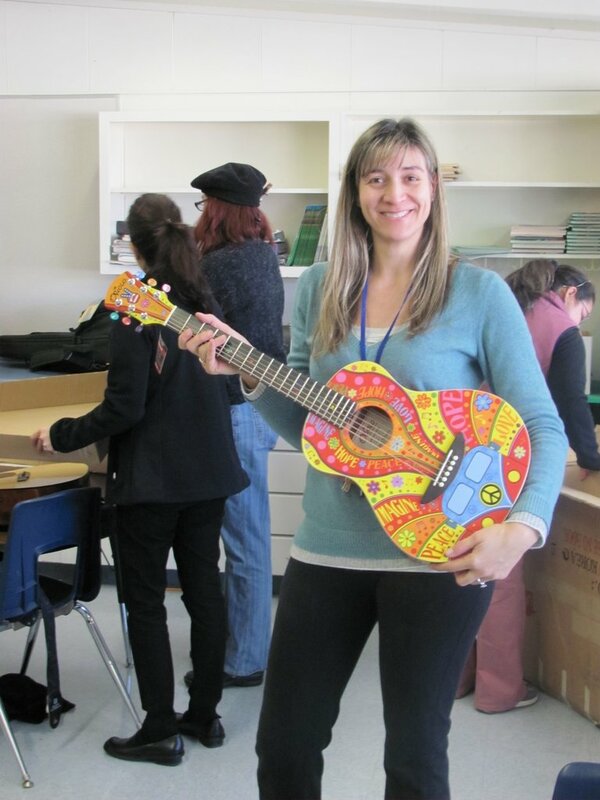 This work instills life-long love of learning & success and music! 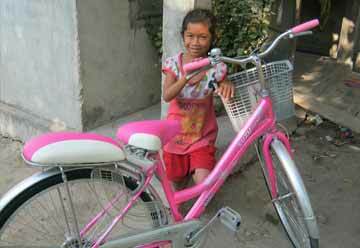 It imparts a permanent solution because teachers train and keep playing for years at school. 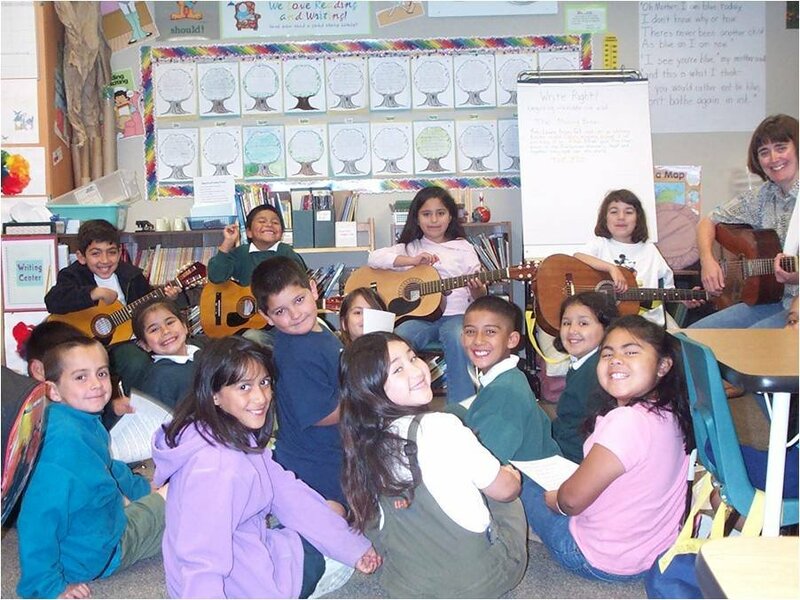 All children are reached, including those in Title 1 and public school classrooms- GITC creates precious musical opportunities for everyone. 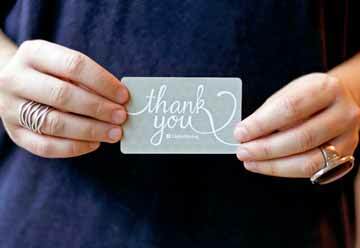 This approach makes classrooms happier places, enables students to bring up their grades and test scores, schools get stronger, and teachers acquire an inspiring new way to do their best! 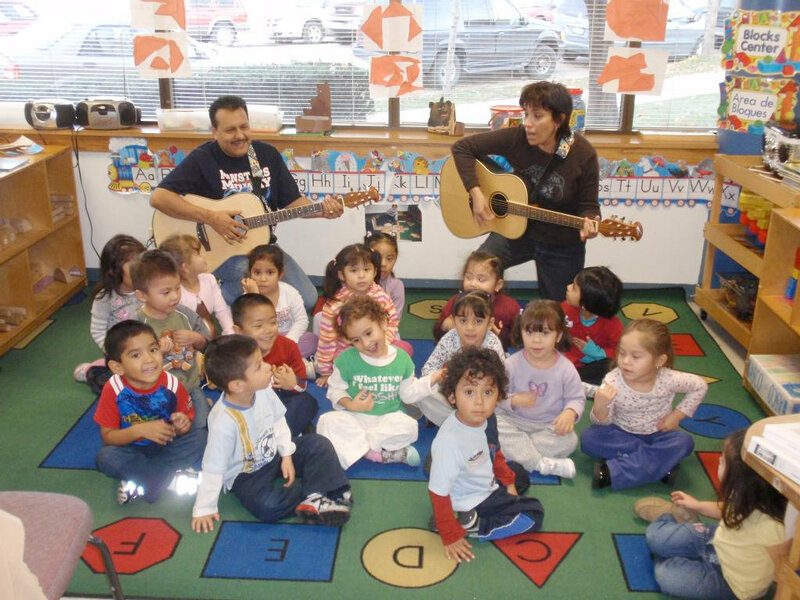 introduces 20 children to making music! 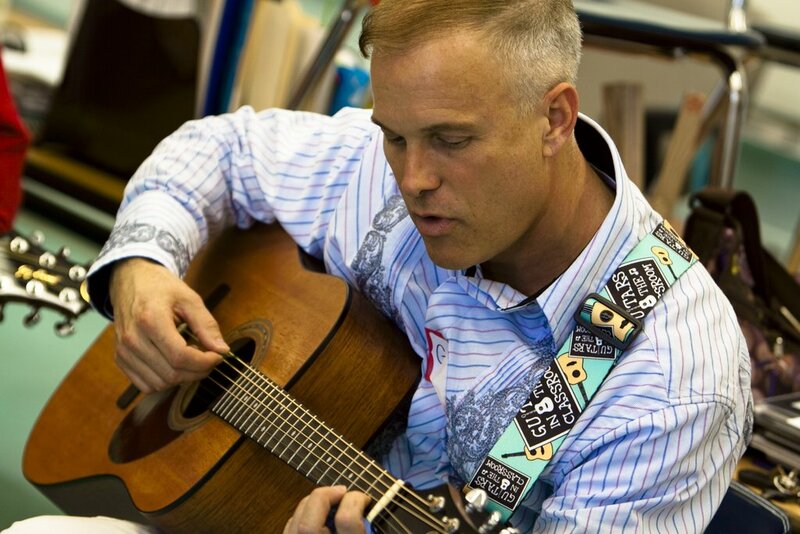 Gets 18 new songs charted and sent into classrooms around the country! 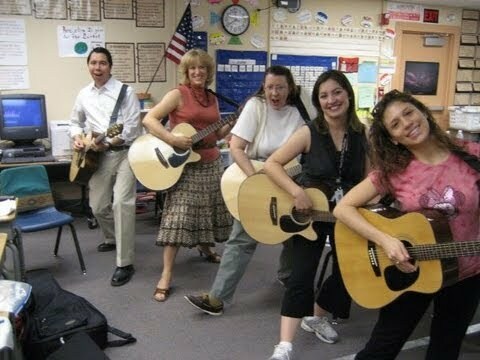 gets daily music making to 2,000 students for a year!